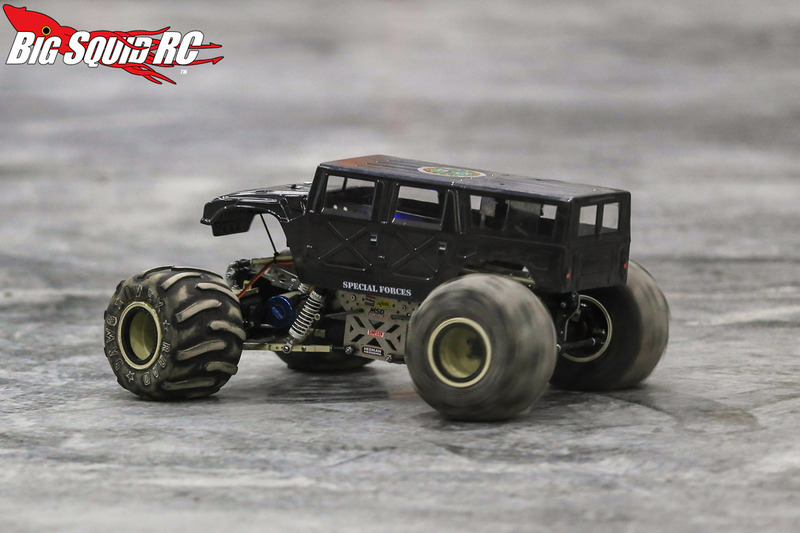 Monster Truck Madness #2: Shaving a Set of RC4WD Rumbles « Big Squid RC – RC Car and Truck News, Reviews, Videos, and More! One is not a true monster trucker until they experience the taste of burnt rubber, at least once, by way of cutting/shaving a set of tires. 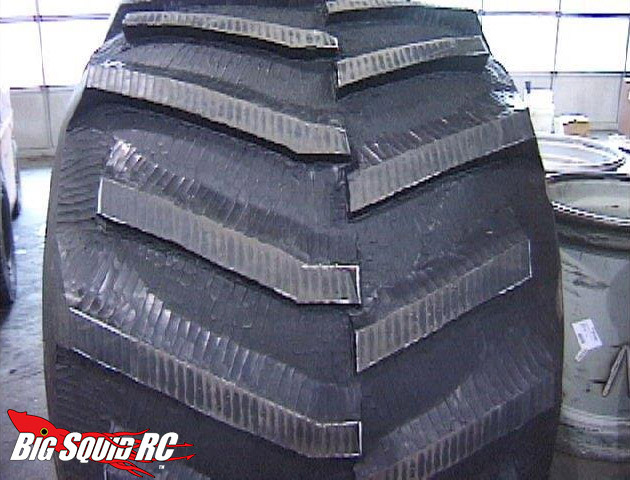 Monster truck tire cutting is an art that dates back to the late 80’s, but it came into vogue during the early 90’s when modern racing began. 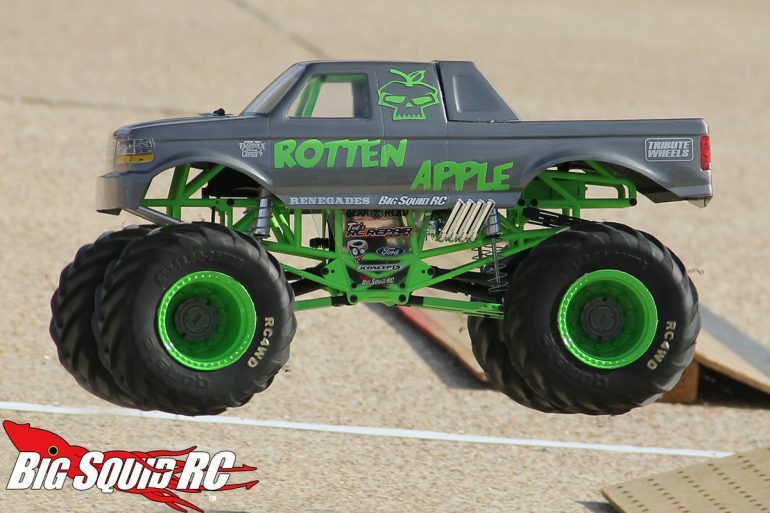 The then-standard 66″ flotation tires that companies like Goodyear and Firestone provided were fine when the trucks were just ramming cars- once they started to fly, well, racers will always be racers. 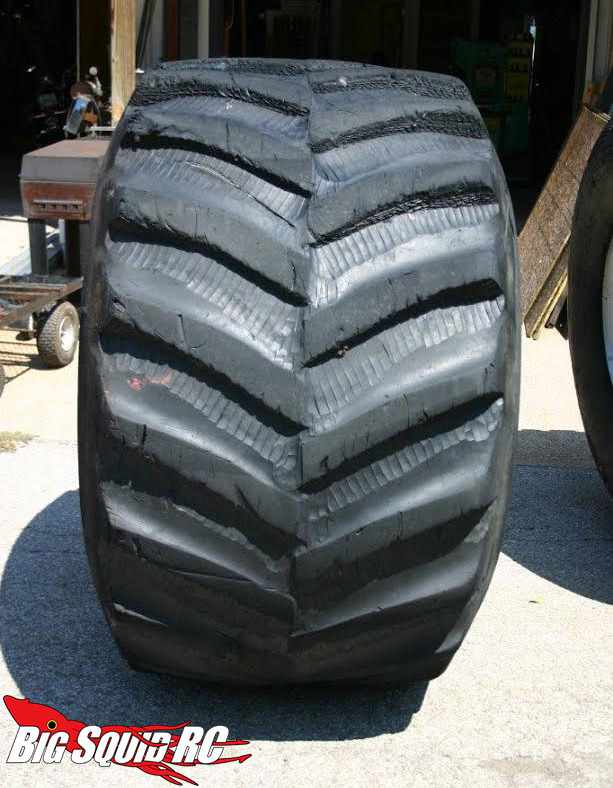 It was discovered that shaving the giant tires could not only take off hundreds of pounds of weight, but also make the standard chevron tread have more bite. It soon became a mandatory task, with each driver liking them a certain way. Big thanks to the Bigfoot team for giving me a few pictures to share of the cutting process. 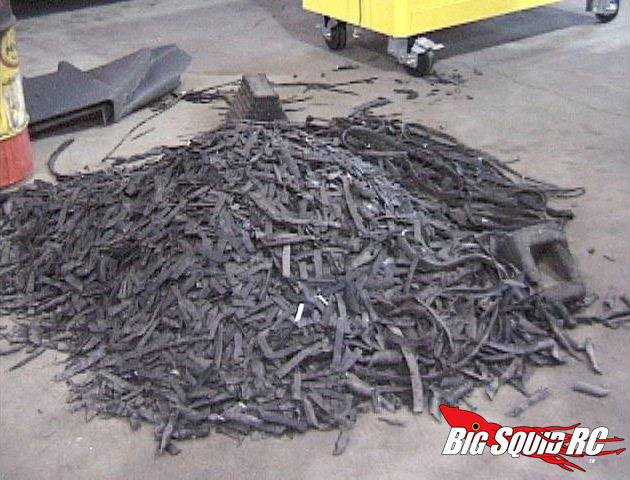 Check out all that excess rubber that comes off! 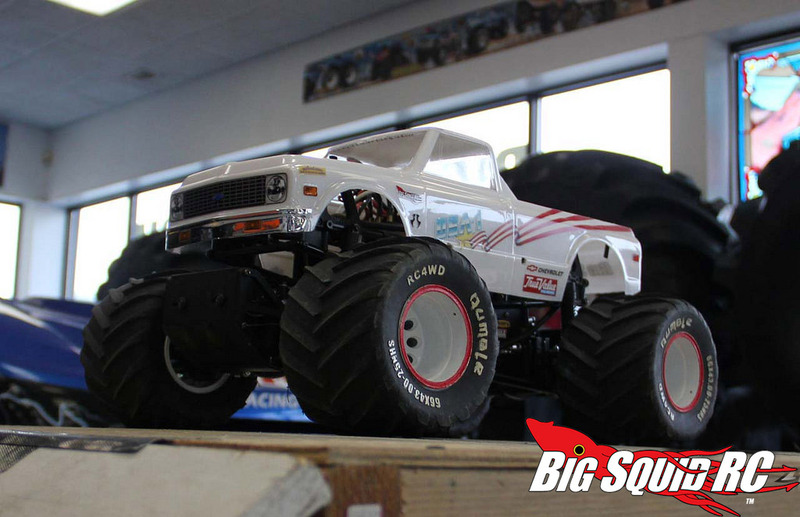 As it pertains to 1/10 vehicles, R/C monster truck racers started doing this soon after the full scalers. 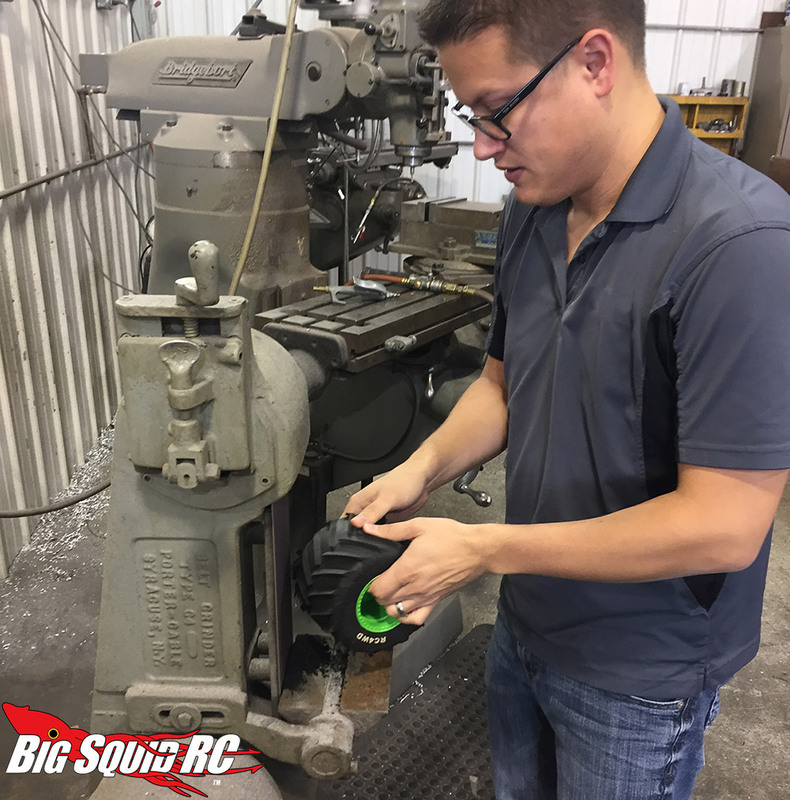 By taking a dremel, razor blade or sander to a tire you can drastically change how it handles….and let’s be honest, it also looks a lot cooler! 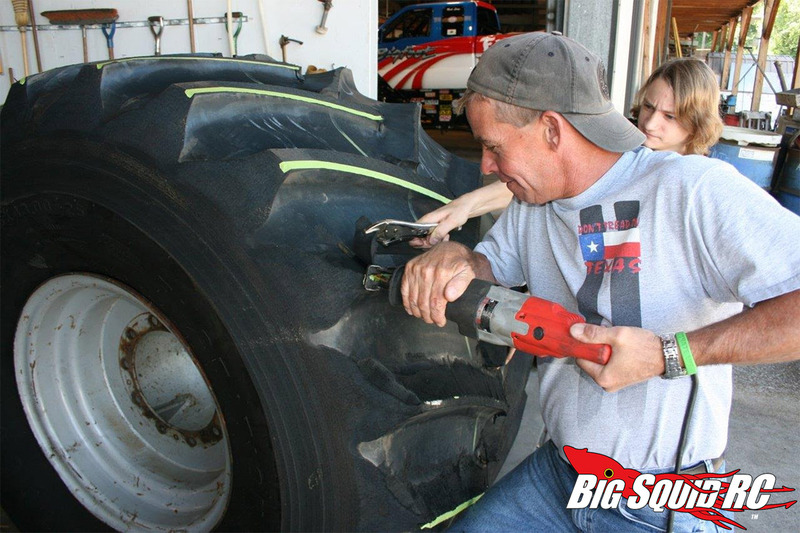 I remember when I tried cutting my first set of Clod tires back in 1999. I didn’t have access to a hot knife or multi-tool so I tried….a soldering iron. Yeah, at age 15 I wasn’t the brightest. I caused a major mess and I can still see my dad’s face when he walked into the garage and saw what I was doing. OH GOD, THE SMELL! Quick digression- back in ’04 or ’05 when I started working for Bigfoot I had “the pleasure” of helping out multi-time champ Dan Runte carve a set of fresh-from-the-factory Firestones during a slow day. It was an insane amount of work and ultra tedious. It’s a memory I look back upon fondly now, but I invented new cuss words at the time. 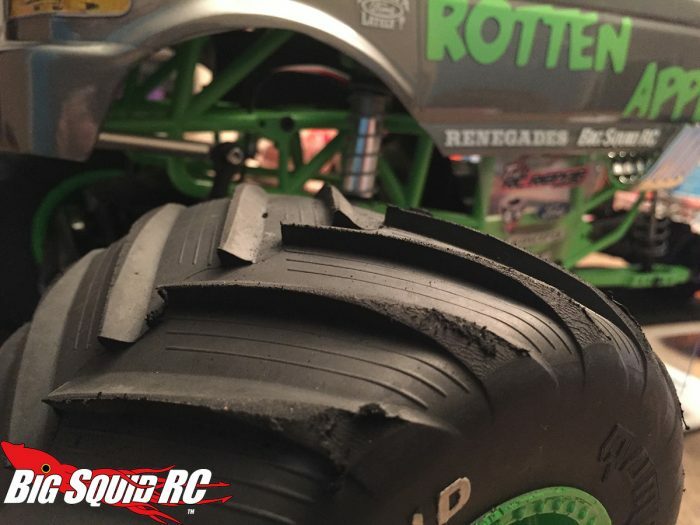 Cutting r/c tires may be a PITA, but it’s nowhere near the work of doing a set of 66″ers. 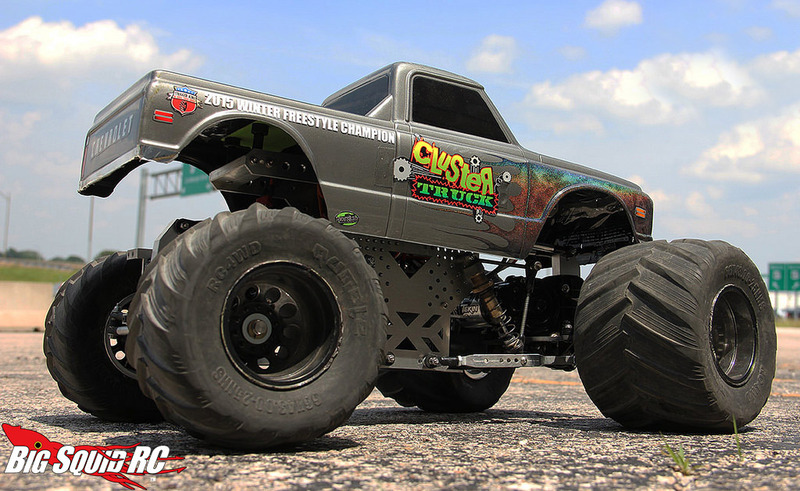 The above gallery shows a few examples of cut/buffed/shaved tires from various manufacturers on different types of rc race trucks. 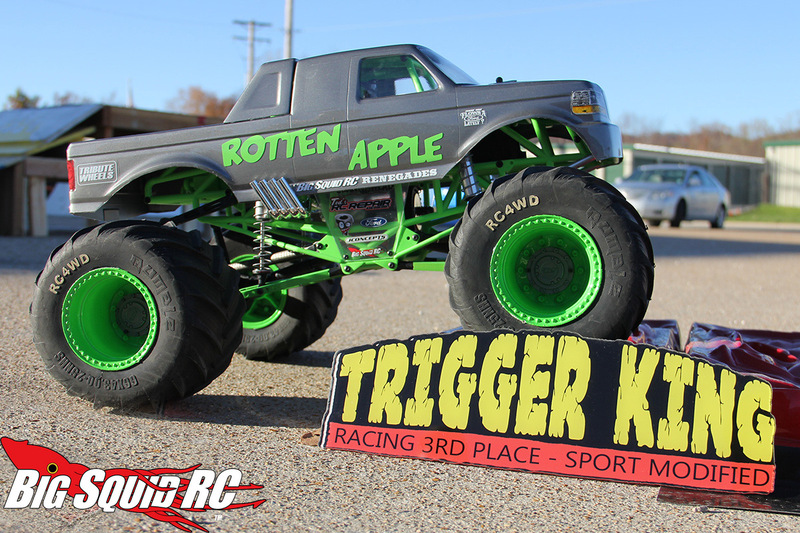 Nowadays with killer race tires offered by the likes of Pro-Line, JConcepts and RC4WD, cutting isn’t mandatory. Still, even though modern offerings are ready to rock right out of the pack, I still like to customize them further. Old habits die hard, I guess. 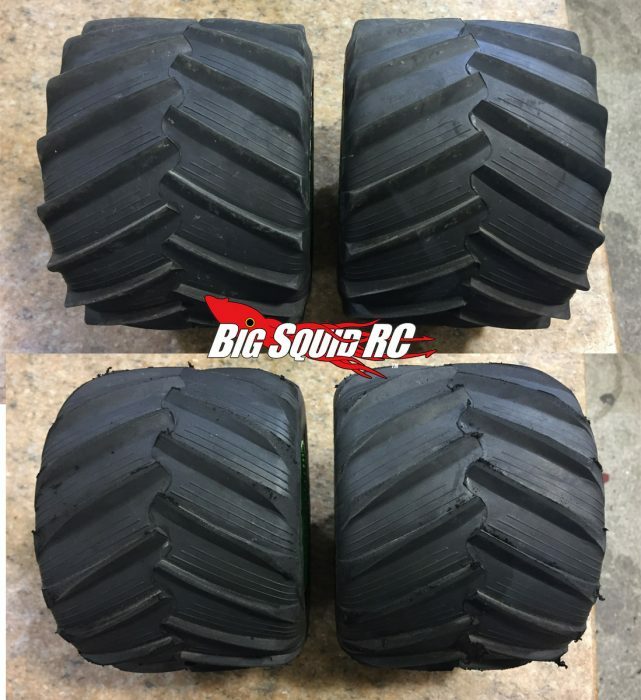 A couple of months back I scored a brand new set of RC4WD Rumble Tires. While you can run them stock and they work just fine, when putting a set on my Axial SMT10 “Rotten Apple”, I knew I had to trim them up. By shaving down the sharp sidewall to a more curved, smoother surface, I hoped to alleviate tire hop under heavy cornering and allow a little more slide in the ride. I’m lucky enough to have access to a bench mounted belt sander which can make quick work of them. Pro-tip- keep your mouth shut and wear glasses! Rubber giblets get EVERYWHERE. I was sneezing black stuff for the next couple hours. Um, on second thought….wear a mask if you can! 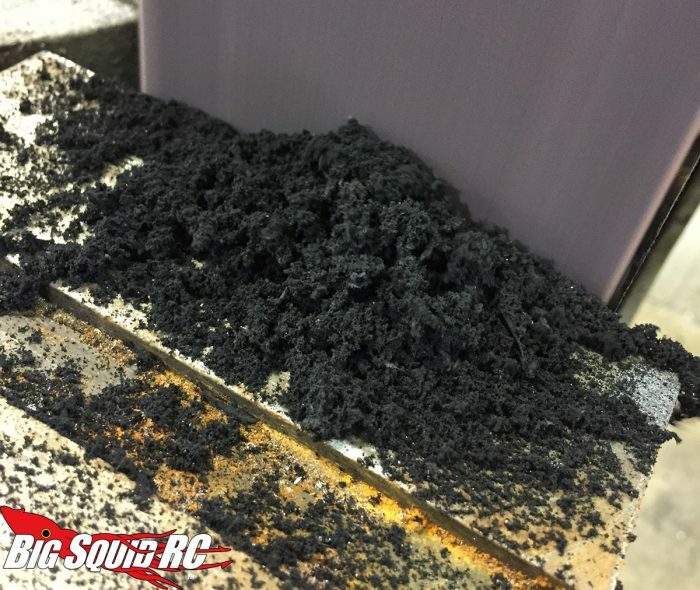 As you can see, there is a lot of rubber that can come off even a low profile race tire such as the Rumble. Each now weighed a half ounce less. That may not sound like a bunch, but with all four tars counted together that’s 2 oz- not insignificant! If you look at the picture below, the top image is before, bottom is after. You can see the squareness is gone and there is much more of a curve to the edges. 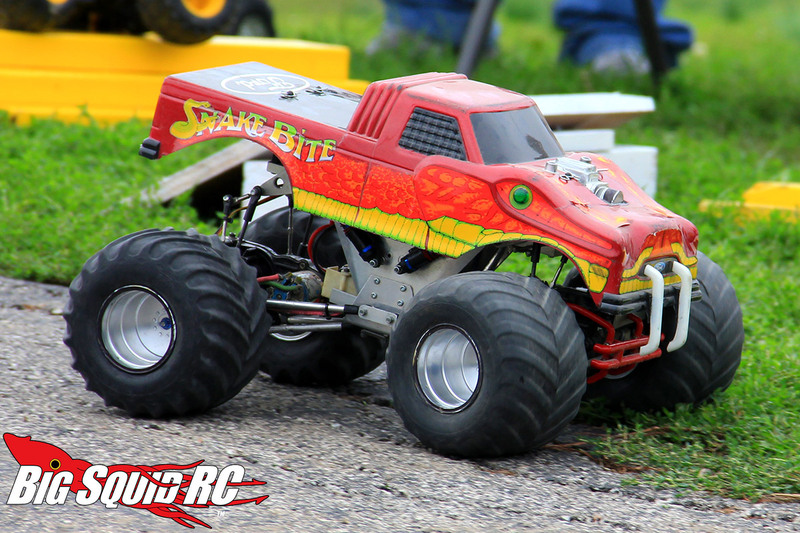 Since doing this mod I have raced in several events and had a good amount of success. Rotten Apple now handles buttery smooth in the corners and I have zero tire hop on pavement, even under hard cornering at full throttle. 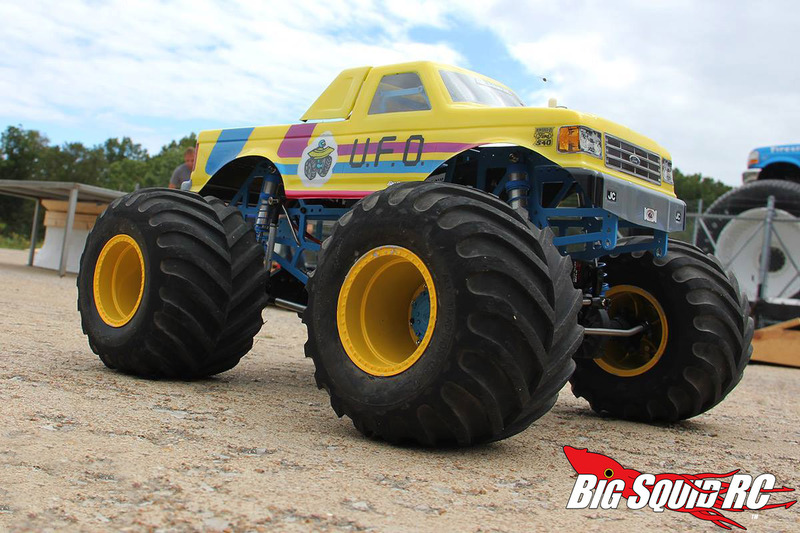 It allows it to “feel” more like a 1:1 monster truck. The shave job made a good tire great. It should be said that this isn’t for everyone. 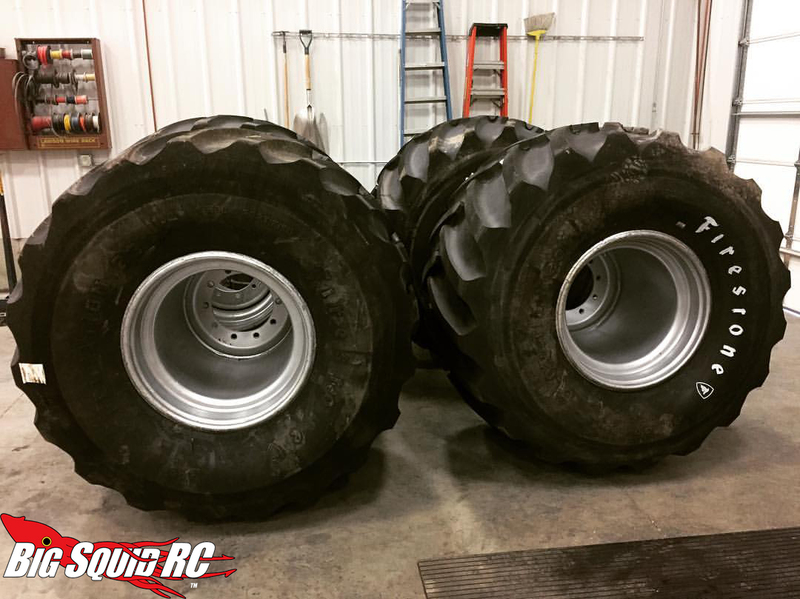 Some people prefer the fuller lug, others may like theirs trimmed even further down. That’s the beauty of it- each person has their own preference, just like the big boys. It can be fun to experiment with different setups, and while performance is nice, it also helps to cosmetically set your vehicle apart from the pack! See ya in two weeks for MTM #3.